Did you recently lose your job or get laid off? Have you been struggling to make your house or mortgage payments? Maybe you have received a notice of foreclosure if you don’t take immediate action. If your home is for sale and set to foreclose in the next few days, the first and most effective thing you can do to stop the foreclosure is to file for Bankruptcy. This will immediately halt the sale of your home. Chapter 13 Bankruptcy often works best for halting the sale of your home. Chapter 13 allows you to repay missed payments, using a payment plan, which also allows you to get back on track. Chapter 7 bankruptcy is even more helpful, because it can help you become debt free before get in too deep, so you can continue to make mortgage payments. After you declare Chapter 13 bankruptcy an automatic stay will be put into effect, which prevents the mortgage lender from taking your home or collecting on further debts. Essentially, any and all activity on the foreclosure process will be halted when Chapter 13 bankruptcy is filed. A relief from stay is not a good thing for an owner in the process of foreclosure. When a lender files for relief from stay, the lender is trying to get the bankruptcy reversed and the court to go through with the foreclosure. However, even if the lender’s petition is granted, it usually takes a few months to get the bankruptcy reversed and to continue with the foreclosure sale. Even if the courts reverse the bankruptcy, keep in mind that there are other options. This is not something that should be a last minute save option, but it can be if it is absolutely necessary. This works best if the lender is restricted from dual tracking. However, if your loan modification is approved, the foreclosure will be permanently stopped, as long as you continue to make modified payments. However, in the last few years three states, California, Nevada and Minnesota have passed a Homeowner Bill of Rights, making dual tracking prohibited. For those not familiar with lending or bankruptcy term,dual tracking occurs when the lender proceeds with the foreclosure while a loss mitigation application is pending. 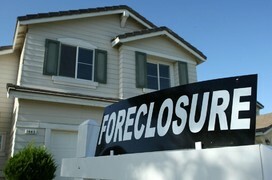 The Obama administration has created a number of new programs to help the American people avoid foreclosure. Which of these programs is the best for you? Let’s find out. HAMP – Home Affordable Modification Program – HAMP aims to lower your mortgage payment to 31% of your gross monthly income. Homeowners report an average of 40% decrease in mortgage payments with as many as 18% saving at least $1,000 each month. Principal Reduction Alternative – This relief program was built specifically to help those whose homes are worth a lot less than they owe. It encourages lenders to reduce the amount of debt still owed on the home. FHA Special Forbearance – Available to only the unemployed or those with no source of income, this special program works by offering a temporary reduction or suspension of a mortgage. This type of forbearance can last up to 12 months. Other Foreclosure Alternatives – If foreclosure seems imminent because you cannot find a way to make payments, you have other option. Short sale or deed-in-lieu of foreclosure through HAFA SM. Redemption – Your last hope is to be able to redeem the sale of your home — post-foreclosure. To do this, you will need to pay the remaining balance owed on your mortgage as well as any additional fees incurred during the foreclosure process. Keep in mind, however, that when you file a lawsuit you will most likely end up more in debt and still have to foreclose on your home. Sell your house cash to us to remove the burden.